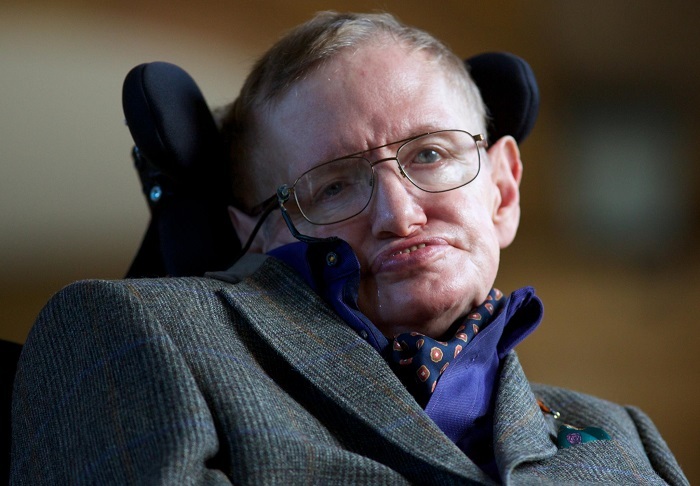 Malcolm Perry, a professor of theoretical physics at Cambridge and a co-author on the paper, Black Hole Entropy and Soft Hair, said the information paradox was “at the centre of Hawking’s life” for more than 40 years. The origins of the puzzle can be traced back to Albert Einstein. In 1915, Einstein published his theory of general relativity, a tour-de-force that described how gravity arises from the spacetime-bending effects of matter, and so why the planets circle the sun. But Einstein’s theory made important predictions about black holes too, notably that a black hole can be completely defined by only three features: its mass, charge, and spin. Nearly 60 years later, Hawking added to the picture. He argued that black holes also have a temperature. And because hot objects lose heat into space, the ultimate fate of a black hole is to evaporate out of existence. But this throws up a problem. The rules of the quantum world demand that information is never lost. So what happens to all the information contained in an object – the nature of a moon’s atoms, for instance – when it tumbles into a black hole? In the latest paper, Hawking and his colleagues show how some information at least may be preserved. Toss an object into a black hole and the black hole’s temperature ought to change. So too will a property called entropy, a measure of an object’s internal disorder, which rises the hotter it gets. The physicists, including Sasha Haco at Cambridge and Andrew Strominger at Harvard, show that a black hole’s entropy may be recorded by photons that surround the black hole’s event horizon, the point at which light cannot escape the intense gravitational pull. They call this sheen of photons “soft hair”. Among the unknowns that Perry and his colleagues must now explore are how information associated with entropy is physically stored in soft hair and how that information comes out of a black hole when it evaporates. “If I throw something in, is all of the information about what it is stored on the black hole’s horizon?” said Perry. “That is what is required to solve the information paradox. If it’s only half of it, or 99%, that is not enough, you have not solved the information paradox problem. Marika Taylor, professor of theoretical physics at Southampton University and a former student of Hawking’s, said: “Understanding the microscopic origin of this entropy – what are the underlying quantum states that the entropy counts? – has been one of the great challenges of the last 40 years. Juan Maldacena, a theoretical physicist at Einstein’s alma mater, the Institute for Advanced Studies in Princeton, said: “Hawking found that black holes have a temperature. For ordinary objects we understand temperature as due to the motion of the microscopic constituents of the system. For example, the temperature of air is due to the motion of the molecules: the faster they move, the hotter it is.